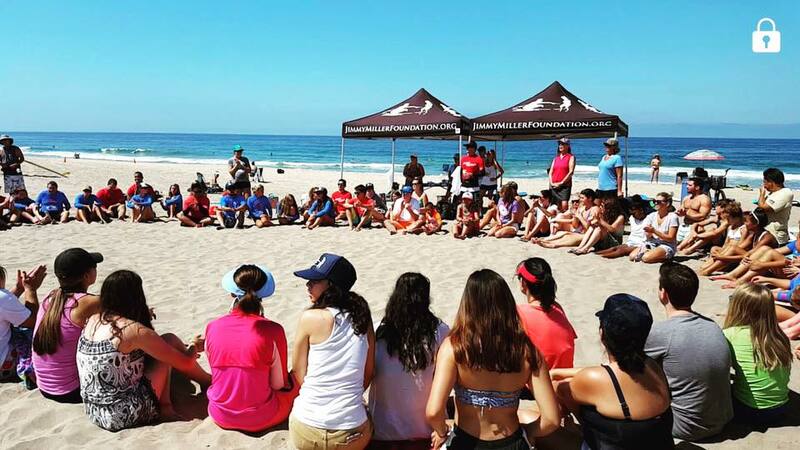 We recently had our annual Surf Day in partnership with JMMF. What we wanted to provide is a way to cope with the stress, and general “life” things that happen. Surfing puts you in something bigger than yourself. The largest body of water on the planet? It is tough to feel like your personal problems, no matter how big, are bigger than this completely organic magic that is engulfing you. It ebbs and flows and soon you are doing the same thing and part of it. It gets you “in the Zone”. Truly connecting what your body is doing to what your mind is thinking is tough. Like in yoga, dancing, or in any sport, athletes reach a point where you find a grove in body repletion and the movement it makes. Your mind has to think very little about what it is doing, but there is an undeniable focus on it. A little dose of adrenaline does a body (and mind) good. While too much adrenaline is problematic, a little can really awaken our senses. Sometimes the mediocracy of the things we have to do can put us in a bit of a mental slumber. Go to work. Buy the food. Feed the cat. Sometimes joy, sadness, or any emotion gets a little numb. Surfing puts you in a novel situation every time. It is exciting. You are floating, barefoot, vulnerable, and handling whatever wave comes. You experience a singularity of focus, and are completely present. Good luck bringing that iPhone in the water. You are so completely in thought about what the ocean is doing, and can no longer think about emails, problems, or that really funny dog video (no shame if you do though- it’s hilarious). You are just plum tuckered out. Good sleep has amazing health benefits along with exercise. Post-surf naps are pretty tough to beat and are the most soundless, uninterrupted, and complete sleep I have personally ever had the pleasure experiencing. So take that stress! Our mentees and mentors got to experience it firsthand this last weekend, and we know they will take that lesson with them in the future. Last Chance for Summertime Fun – Poolside!